How you stage your property is a key factor to selling them quickly and in the highest possible price. From basic techniques such as keeping it clean and comfy to setting a relaxed ambience to all prospective homebuyers, the main trick is how to present it in the most homely fashion so as to give it an edge against the thousands of the home properties for sale in the Philippines. Whether it is a house in the suburbs, a city apartment or a posh PH condo that you have put out in the market, learn the ways to make it extra attractive to your future clients. Here are five tips to help you out. 1. Paint it in warm, neutral colors that appeal to the mass. Each person’s taste in colors varies. Some may want brighter tones such as lime green and orange while others may like it pastel like light blue or baby pink. While white seems safest so they could easily envision their decors, opt for a more sophisticated backdrop in rich mid-tones – mocha or “greige”. To project an image of quality and neutrality, choose paints instead of wallpapers. 2. Consider flooring. Work on your floorings – give it thorough cleaning, steam-clean the carpets and refinish them as necessary. If your budget will allow it, select hardwood floors, ceramic tiles or stones for the kitchen, bathroom, living and dining rooms to maintain an elegant appearance. Let go of linoleums, they aren’t good options anymore. Place area rugs strategically if you can’t afford huge floor improvements. 3. Put life to your walls. Place a piece of artwork or design a painted accent wall to draw their eyes and pique their curiosity. Be mindful to notice if there are cracks on your walling as this may pose alert to potential buyers. Be detailed in self-inspection before you invite anyone for a tour. 4. Provide enough lighting all over the place. Open the curtains and blinds during the visit. Lighten up the surroundings by fixing those broken lamps and getting rid of the outdated light fixtures. No one would want to buy a residence that conveys a boring and gloomy atmosphere. Keep your porch lights on in the evenings for night visitors. 5. Balance out the furniture. Take note of the size of the rooms when you arrange them. Too little, too much, too small, too big is a definite no. Avoid a cluttered air by balancing them properly. Give the impression that they are all new, expensive and inviting. Style it in a manner that depicts plenty of space. If you’re considering to purchase any of the houses for sale in the Philippines or are looking at Philippine properties for sale in the current market, it’s always good to look through different property options. Many Filipinos dream of acquiring their own property for their families and future children, but what are the different factors to consider in acquiring your own home? The best, if not the most important factor, is where your home will be located. Will it be near your place of work? Do you have reputable schools (elementary, high school, or college campuses) around you? Are hospitals, clinics, and pharmacies, and drug stores within reach? It also helps to have different retail stores like grocery stores, wet markets, and even department stores nearby. Accessibility is helpful in determining where your future home would be. Aside from your family’s basic needs, it would also help if you had a barangay outpost, fire station, and police station just within reach of your future home. If you’re looking for houses for sale in the Philippines you must consider you and your family’s safety and security. You will never know when you would need these, especially in case of emergency. You also need to check the neighborhood’s garbage collecting system, and if the area is easily flooded. It would be a big help for you to ask relatives or friends who have lived previously in the location you wish to move in to. 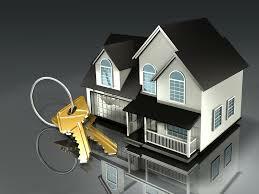 Your loved ones would be the best reference point for the property you wish to acquire. 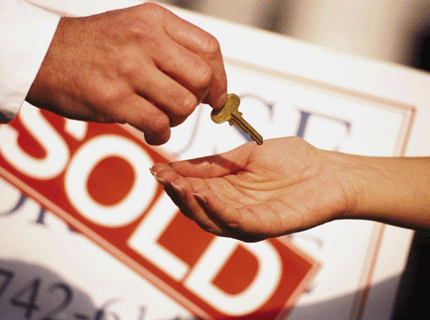 You may even receive referrals from them from brokers that offer Philippine properties for sale. If you’re lucky, your real estate broker might even help you with payment plans for your desired property, or even help you with repayment plans for your housing loan.